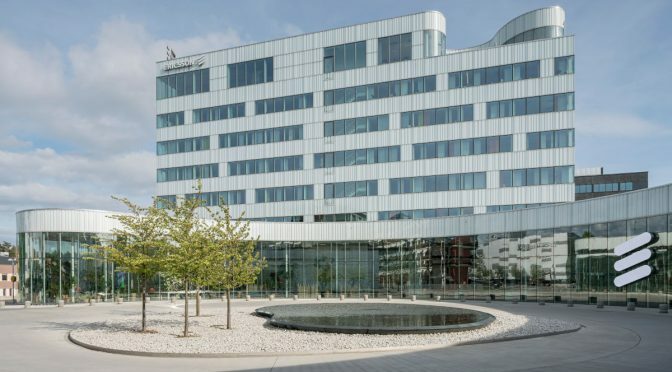 The IETF QUIC working group had its fifth interim meeting the other day, this time in Kista, Sweden hosted by Ericsson. For me as a Stockholm resident, this was ridiculously convenient. Not entirely coincidentally, this was also the first quic interim I attended in person. We were 30 something persons gathered in a room without windows, with another dozen or so participants joining from remote. This being a meeting in a series, most people already know each other from before so the atmosphere was relaxed and friendly. Lots of the participants have also been involved in other protocol developments and standards before. Many familiar faces. As QUIC is supposed to be done “soon”, the emphasis is now a lot to close issues, postpone some stuff to “QUICv2” and make sure to get decisions on outstanding question marks. Kazuho did a quick run-through with some info from the interop days prior to the meeting. After MT’s initial explanation of where we’re at for the upcoming draft-13, Ian took us a on a deep dive into the Stream 0 Design Team report. 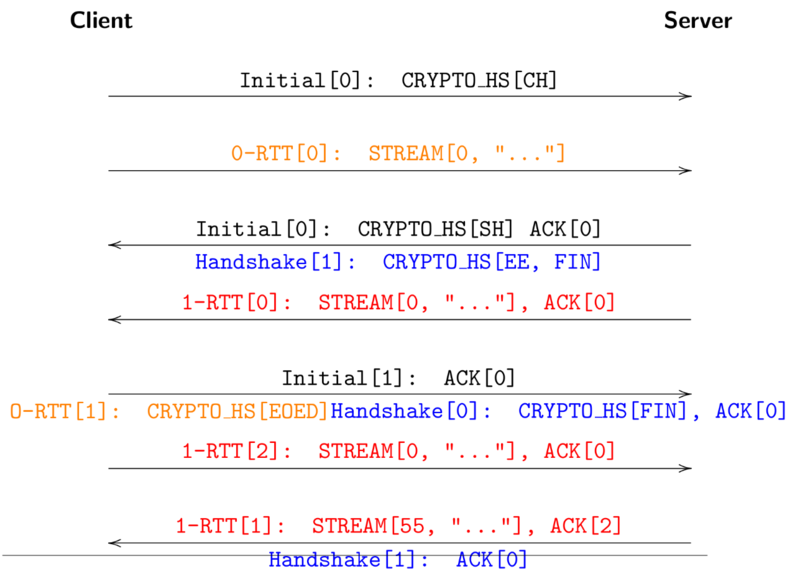 This is a pretty radical change of how the wire format of the quic protocol, and how the TLS is being handled. What’s perhaps the most interesting take away here is that the new format doesn’t use TLS records anymore – but simplifies a lot of other things. 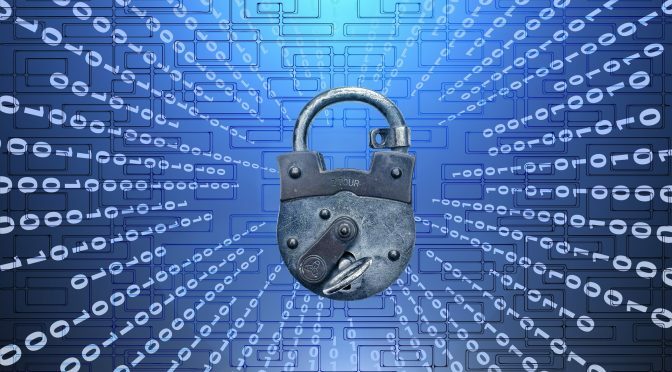 Not using TLS records but still doing TLS means that a QUIC implementation needs to get data from the TLS layer using APIs that existing TLS libraries don’t typically provide. PicoTLS, Minq, BoringSSL. NSS already have or will soon provide the necessary APIs. Slightly behind, OpenSSL should offer it in a nightly build soon but the impression is that it is still a bit away from an actual OpenSSL release. EKR continued the theme. He talked about the quic handshake flow and among other things explained how 0-RTT and early data works. Taken from that context, I consider this slide (shown below) fairly funny because it makes it look far from simple to me. 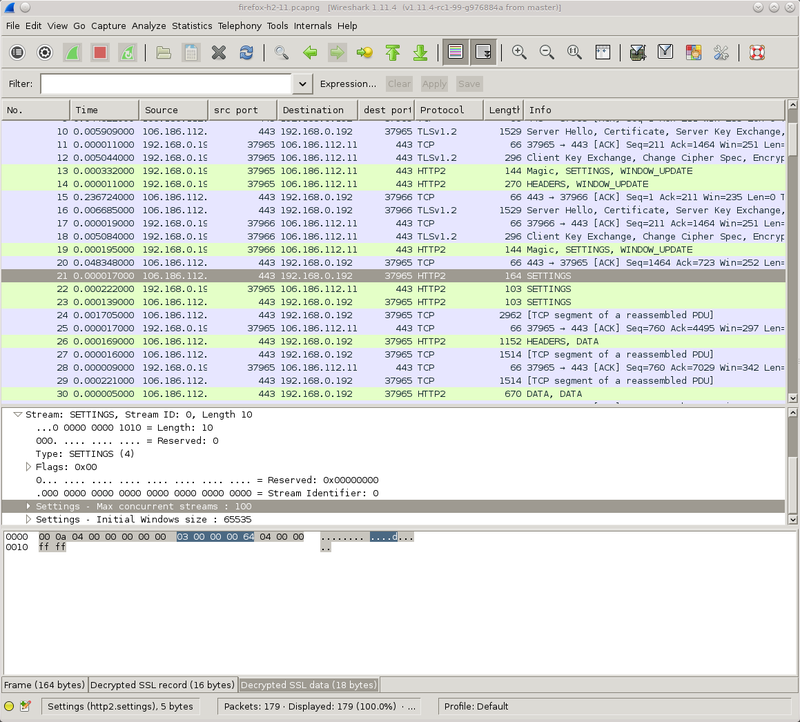 But it shows communication in different layers, and how the acks go, etc. 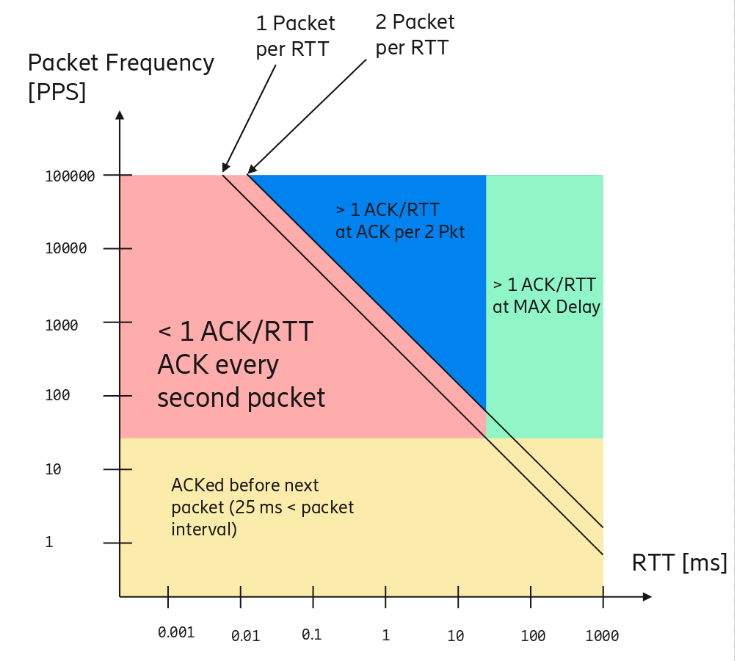 Mike then presented the state of HTTP over quic. The frames are no longer that similar to the HTTP/2 versions. Work is done to ensure that the HTTP layer doesn’t need to refer or “grab” stream IDs from the transport layer. There was a rather lengthy discussion around how to handle “placeholder streams” like the ones Firefox uses over HTTP/2 to create “anchors” on which to make dependencies but are never actually used over the wire. The nature of the quic transport makes those impractical and we talked about what alternatives there are that could still offer similar functionality. The subject of priorities and dependencies and if the relative complexity of the h2 model should be replaced by something simpler came up (again) but was ultimately pushed aside. Alan presented the state of QPACK, the HTTP header compression algorithm for hq (HTTP over QUIC). It is not wire compatible with HPACK anymore and there have been some recent improvements and clarifications done. Alan also did a great step-by-step walk-through how QPACK works with adding headers to the dynamic table and how it works with its indices etc. It was very clarifying I thought. The discussion about the static table for the compression basically ended with us agreeing that we should just agree on a fairly small fixed table without a way to negotiate the table. Mark said he’d try to get some updated header data from some server deployments to get another data set than just the one from WPT (which is from a single browser). Interop-testing of QPACK implementations can be done by encode + shuffle + decode a HAR file and compare the results with the source data. Just do it – and talk to Alan! And the first day was over. A fully packed day. Magnus started off with some heavy stuff talking Explicit Congestion Notification in QUIC and it how it is intended to work and some remaining issues. Interestingly, it turned out that several of the implementers already basically had implemented Magnus’ proposal of changing the max delay to min(RTT/4, 25 ms) independently of each other! Subodh took us on a journey with some great insights from Facebook’s deployment of mvfast internally, their QUIC implementation. Getting some real-life feedback is useful and with over 100 billion requests/day, it seems they did give this a good run. Since their usage and stack for this is a bit use case specific I’m not sure how relevant or universal their performance numbers are. They showed roughly the same CPU and memory use, with a 70% RPS rate compared to h2 over TLS 1.2. He also entertained us with some “fun issues” from bugs and debugging sessions they’ve done and learned from. Awesome. 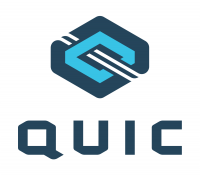 The story highlights the need for more tooling around QUIC to help developers and deployers. Martin talked about load balancers and servers, and how they could or should communicate to work correctly with routing and connection IDs. The room didn’t seem overly thrilled about this work and mostly offered other ways to achieve the same results. During the last session for the day and the entire meeting, was mt going through a few things that still needed discussion or closure. On stateless reset and the rather big bike shed issue: implicit open. The later being the question if opening a stream with ID N + 1 implicitly also opens the stream with ID N. I believe we ended with a slight preference to the implicit approach and this will be taken to the list for a consensus call. How should the QUIC protocol allow extensibility? The oldest still open issue in the project can be solved or satisfied in numerous different ways and the discussion waved back and forth for a while, debating various approaches merits and downsides until the group more or less agreed on a fairly simple and straight forward approach where the extensions will announce support for a feature which then may or may involve one or more new frame types (to be in a registry). We proceeded to discuss other issues all until “closing time”, which was set to be 16:00 today. This was just two days of pushing forward but still it felt quite intense and my personal impression is that there were a lot of good progress made here that took the protocol a good step forward. The facilities were lovely and Ericsson was a great host for us. 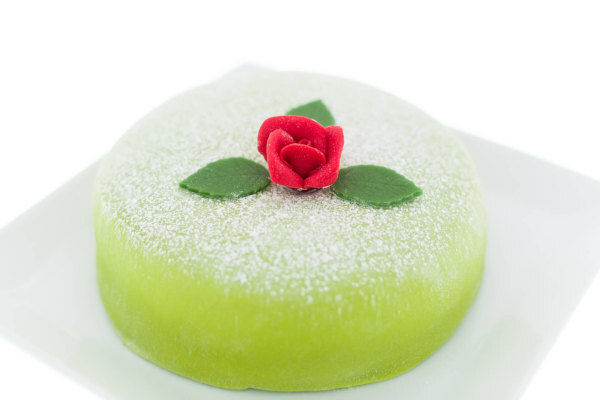 The Thursday afternoon cakes were great! Thank you! There’s an IETF meeting in Montreal in July and there’s a planned next QUIC interim probably in New York in September. Next week, Mozilla will release Firefox 57. 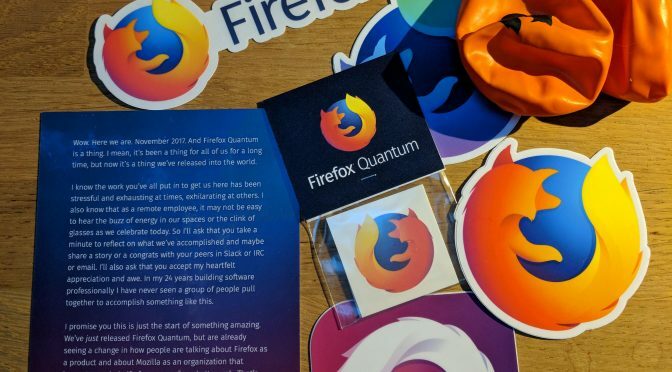 Also referred to as Firefox Quantum, from the project name we’ve used for all the work that has been put into making this the most awesome Firefox release ever. This is underscored by the fact that I’ve gotten mailed release-swag for the first time during my four years so far as a Mozilla employee. Firefox 57 is the major milestone hundreds of engineers have worked really hard toward during the last year or so, and most of the efforts have been focused on performance. Or perhaps perceived end user snappiness. Early comments I’ve read and heard also hints that it is also quite notable. I think every single Mozilla engineer (and most non-engineers as well) has contributed to at least some parts of this, and of course many have done a lot. My personal contributions to 57 are not much to write home about, but are mostly a stream of minor things that combined at least move the notch forward. [edited out some secrets I accidentally leaked here.] I’m a proud Mozillian and being part of a crowd that has put together something as grand as Firefox 57 is an honor and a privilege. Releasing a product to hundreds of millions of end users across the world is interesting. People get accustomed to things, get emotional and don’t particularly like change very much. I’m sure Firefox 57 will also get a fair share of sour feedback and comments written in uppercase. That’s inevitable. But sometimes, in order to move forward and do good stuff, we have to make some tough decisions for the greater good that not everyone will agree with. At the Netnod spring meeting 2017 in Stockholm on the 5th of April I did a talk with the title of this post. Why was HTTP/2 introduced, how well has HTTP/2 been deployed and used, did it deliver on its promises, where doesn’t HTTP/2 perform as well. Then a quick (haha) overview on what QUIC is and how it intends to fix some of the shortcomings of HTTP/2 and TCP. In 28 minutes. Following up on the problem with our current lack of a universal URL standard that I blogged about in May 2016: My URL isn’t your URL. I want a single, unified URL standard that we would all stand behind, support and adhere to. … and pasting this URL into different tools and browsers show that there’s not a wide agreement on how this should work. Is the URL legal in the first place and if so, which host should a client contact? wget extracts the example.com host name but rejects the port number due to the rubbish after the zero. The only somewhat modern “spec” for URLs is the WHATWG URL specification. The other major, but now somewhat aged, URL spec is RFC 3986, made by the IETF and published in 2005. 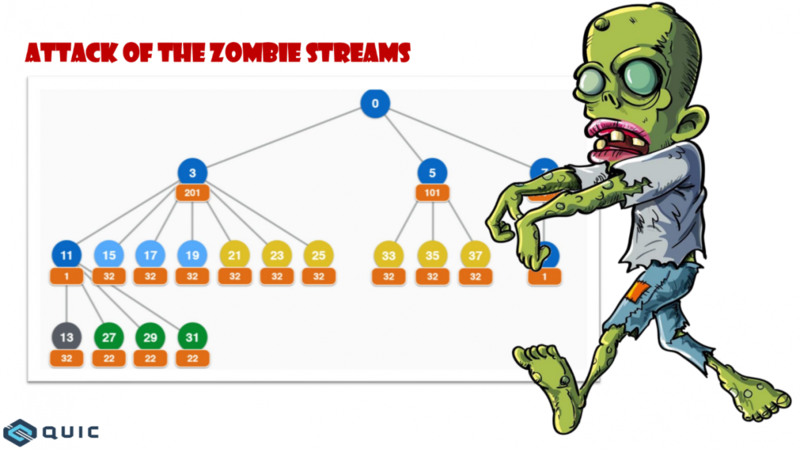 In 2015, URL problem statement and directions was published as an Internet-draft by Masinter and Ruby and it brings up most of the current URL spec problems. Some of them are also discussed in Ruby’s WHATWG URL vs IETF URI post from 2014. Friends I know in the WHATWG suggest that I should dig in there and help them improve their spec. That would be a good idea if fixing the WHATWG spec would be the ultimate goal. I don’t think it is enough. The WHATWG is highly browser focused and my interactions with members of that group that I have had in the past, have shown that there is little sympathy there for non-browsers who want to deal with URLs and there is even less sympathy or interest for URL schemes that the popular browsers don’t even support or care about. URLs cover much more than HTTP(S). I have the feeling that WHATWG people would not like this work to be done within the IETF and vice versa. Since I’d like buy-in from both camps, and any other camps that might have an interest in URLs, this would need to be handled somehow. It would also be great to get other major URL “consumers” on board, like authors of popular URL parsing libraries, tools and components. Such a URL group would of course have to agree on the goal and how to get there, but I’ll still provide some additional things I want to see. Update: I want to emphasize that I do not consider the WHATWG’s job bad, wrong or lost. I think they’ve done a great job at unifying browsers’ treatment of URLs. I don’t mean to belittle that. I just know that this group is only a small subset of the people who probably should be involved in a unified URL standard. I can’t see any compelling reasons why a URL specification couldn’t reach a stable state and get published as *the* URL standard. The “living standard” approach may be fine for certain things (and in particular browsers that update every six weeks), but URLs are supposed to be long-lived and inter-operate far into the future so they really really should not change. Therefore, I think the IETF documentation model could work well for this. The WHATWG spec documents what browsers do, and browsers do what is documented. At least that’s the theory I’ve been told, and it causes a spinning and never-ending loop that goes against my wish. The WHATWG specification is written in a pseudo code style, describing how a parser would “walk” over the string with a state machine and all. I know some people like that, I find it utterly annoying and really hard to figure out what’s allowed or not. I much more prefer the regular RFC style of describing protocol syntax. Can we please just say that host names in URLs should be handled according to IDNA2008 (RFC 5895)? WHATWG URL doesn’t state any IDNA spec number at all. “Irrelevant” when it comes to documenting the URL format that is. The WHATWG details several things that are related to URL for browsers but are mostly irrelevant to other URL consumers or producers. Like section “5. application/x-www-form-urlencoded” and “6. API”. They would be better placed in a “URL considerations for browsers” companion document. So browsers accept URLs written with thousands of forward slashes instead of two. That is not a good reason for the spec to say that a URL may legitimately contain a thousand slashes. I’m totally convinced there’s no critical content anywhere using such formatted URLs and no soul will be sad if we’d restricted the number to a single-digit. So we should. And yeah, then browsers should reject URLs using more. The slashes are only an example. The browsers have used a “liberal in what you accept” policy for a lot of things since forever, but we must resist to use that as a basis when nailing down a standard. The odds of this happening soon? I know there are individuals interested in seeing the URL situation getting worked on. We’ve seen articles and internet-drafts posted on the issue several times the last few years. Any year now I think we will see some movement for real trying to fix this. I hope I will manage to participate and contribute a little from my end. 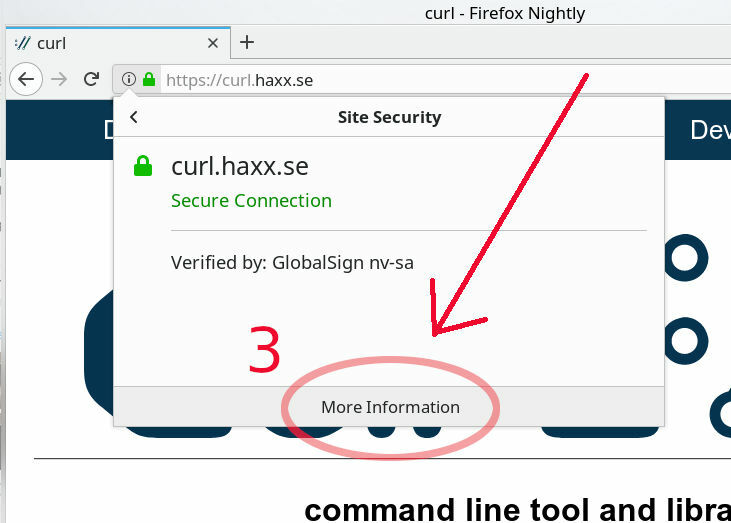 Starting in version 7.52.0 (due to ship December 21, 2016), curl will support HTTPS proxies when doing network transfers, and by doing this it joins the small exclusive club of HTTP user-agents consisting of Firefox, Chrome and not too many others. Yes you read this correctly. This is different than the good old HTTP proxy. 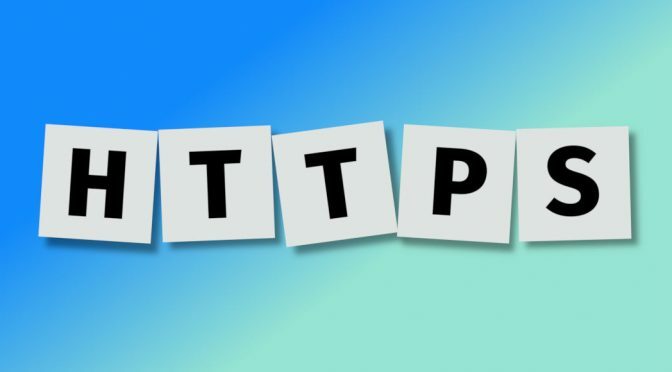 HTTPS proxy means that the client establishes a TLS connection to the proxy and then communicates over that, which is different to the normal and traditional HTTP proxy approach where the clients speak plain HTTP to the proxy. 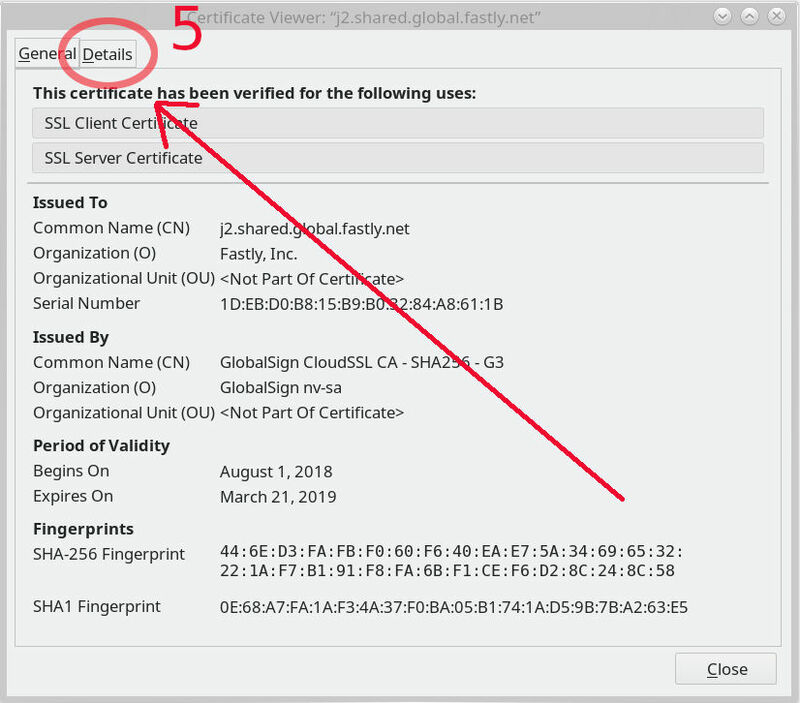 In the case where a client wants to talk HTTPS to a remote server, when using a HTTPS proxy, it sends HTTPS through HTTPS. The access to the proxy is made over network A. That network has traditionally been a corporate network or within a LAN or something but we’re seeing more and more use cases where the proxy is somewhere on the Internet and then “Network A” is really huge. That includes use cases where the proxy for example compresses images or otherwise reduces bandwidth requirements. Actual HTTPS connections from clients to servers are still done end to end encrypted even in the HTTP proxy case. 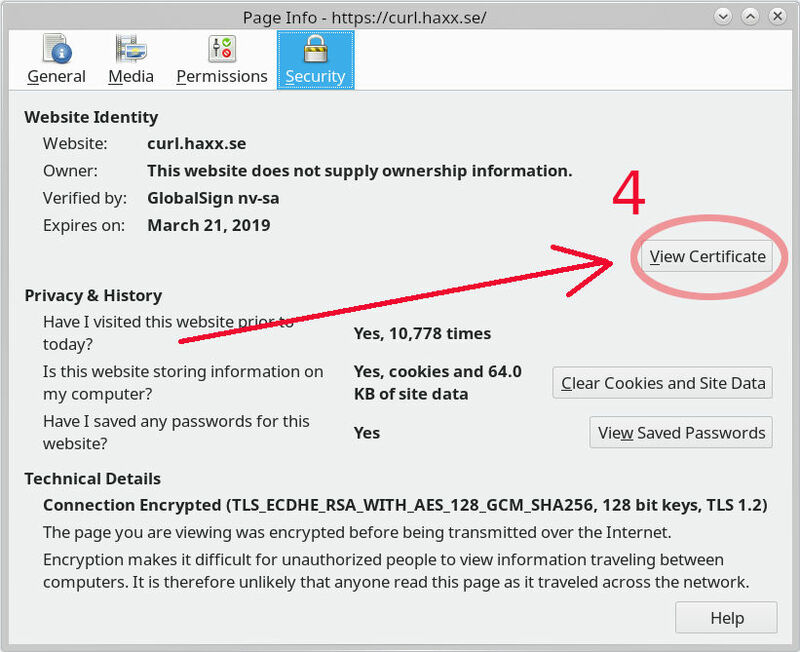 HTTP traffic to and from the user to the web site however, will still be HTTPS protected to the proxy when a HTTPS proxy is used. This awesome work was provided by Dmitry Kurochkin, Vasy Okhin, and Alex Rousskov. It was merged into master on November 24 in this commit. Doing this sort of major change in the TLS area in curl code is a massive undertaking, much so because of the fact that curl supports getting built with one out of 11 or 12 different TLS libraries. Several of those are also system-specific so hardly any single developer can even build all these backends on his or hers own machines. 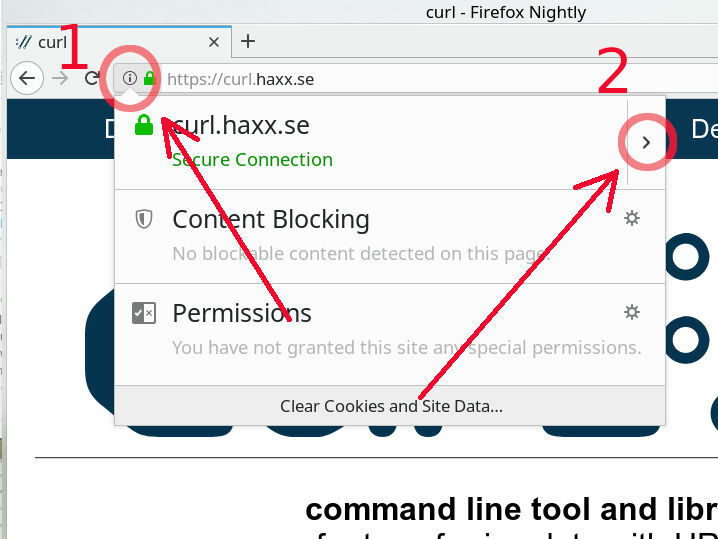 In addition to the TLS backend maze, curl and library also offers a huge amount of different options to control the TLS connection and handling. 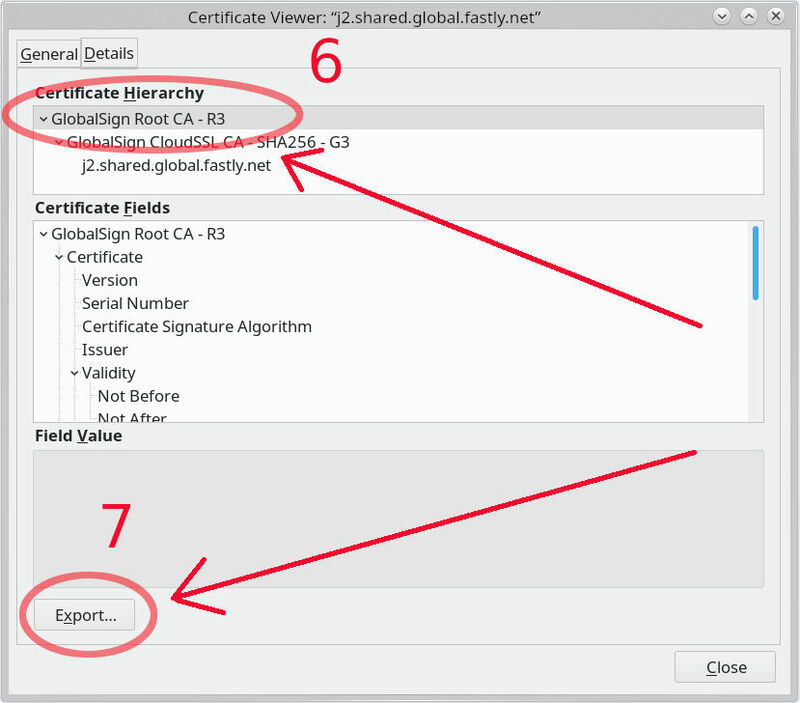 You can switch on and off features, provide certificates, CA bundles and more. 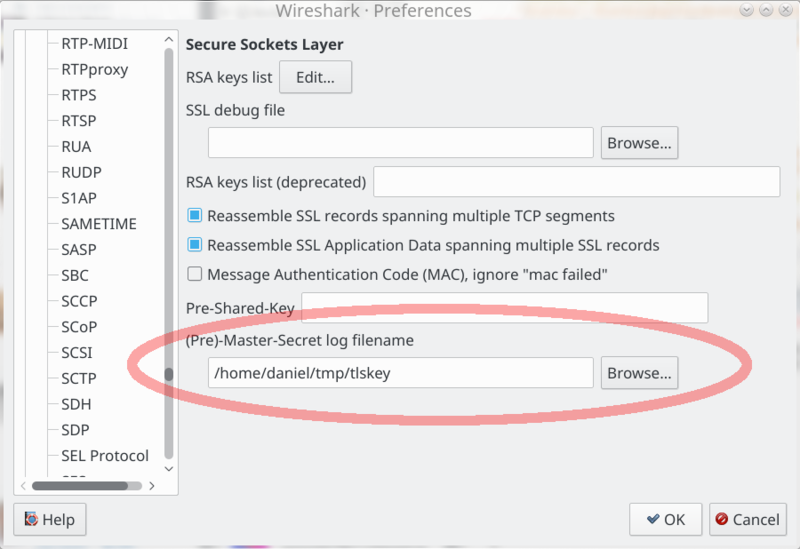 Adding another layer of TLS pretty much doubles the amount of options since now you can tweak everything both in the TLS connection to the proxy as well as the one to the remote peer. 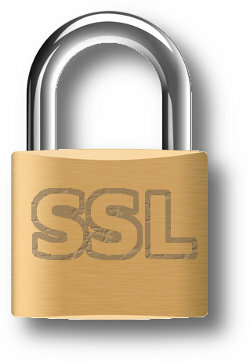 This new feature is supported with the OpenSSL, GnuTLS and NSS backends to start with. By all means, go ahead and use it and torture the code and file issues for everything bad you see, but I think we make ourselves a service by considering this new feature set to be a bit experimental in this release.